On the edge of a beautiful village with lovely people. Property was excellent but would add that outside space would be a little restrictive for more than four people - we were only four so perfect - inside the property was spacious and always kept clean with regular cleans. Position in village. and lovely people to look after you. The host Tina was very helpful and pleasant. She was very informative and knowledgeable about the area. The villa was very clean and comfortable, it had everything we needed. The pool and garden were kept very clean and tidy by a very helpful and friendly maintenance man, a couple of problems we encountered with the toilet and electrics were resolved quickly with no fuss. Thank you !! Very good communication with the owner and excellent reception. 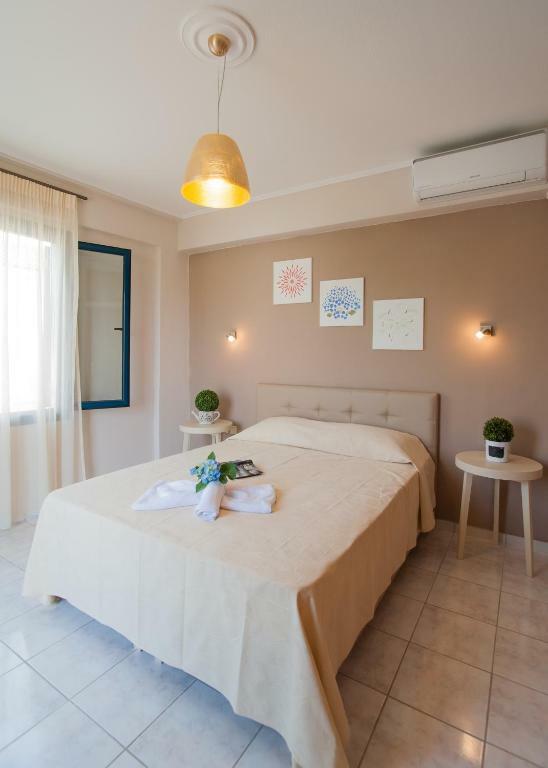 Very very very clean house, spacious, bed sheets and swimming pool towels change every 3 days. The cleaning lady even brought us some local sweet delicacies. Air con in all rooms and reception areas. 3 sun loungers well located for sun bathing (and parasol provided for shadow, perfect for reading time outside), swimming pool very well maintained and clean. Quiet and very good Cretan restaurant at 50m with a beautiful view. Does take away. Excellent food. Beach 5min down and city centre as well of this small village. Clean, comfortable, spacious villa. There are 2 bathrooms with toilets upstairs plus 1 toilet and a shower downstairs. Close to the beach. Very kind and helpful host. We had a little problem with one of the toilets and they fixed it very quickly. Very reliable people!!! There's air-conditioning in every room. Fully equipped including iron, hair drier, washing machine and a safe. Comfortable beds. Car rent is only 2 minutes walk. All in all I really enjoyed staying here. Прекрасное расположение - и море и магазины недалеко, соотношение цены и качества отличная просторная вилла в спокойном месте для отдыха с детьми или большой компанией. Отдыхали компанией из 4 чел. Вилла великолепна, полностью соответствует описанию и предложенным удобствам. Были удивлены наличием угля для барбекю, полным комплектом принадлежностям для самостоятельной уборки, стирки и мытья посуды. Бассейн чистил убощик каждый день, уборка виллы через 3 дня. Очевидные плюсы - комфортный отдых для компании, свой бассейн. Небольшой минус- вилла расположена на повороте, большие автобусы проезжали в метре от забора, но не критично, пляж расположен в 5 мин. хотьбы, но маленький и грязноватый. Lock in a great price for Crete Residence Villas – rated 9.1 by recent guests! 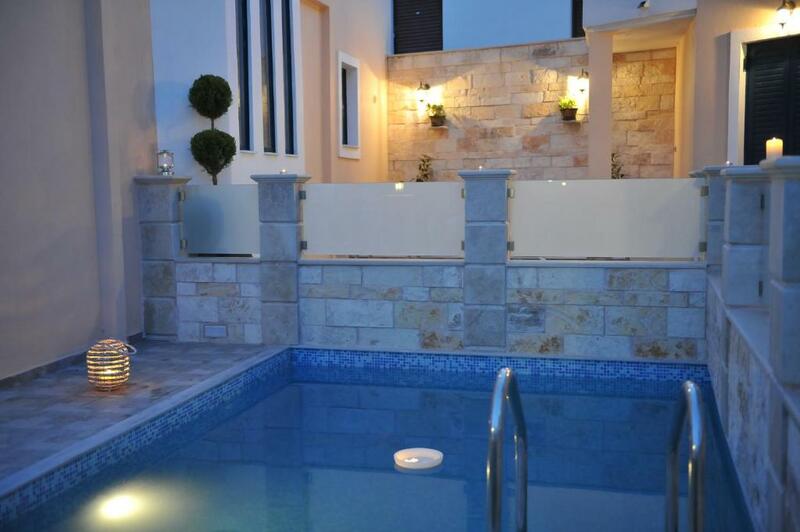 One of our top picks in Panormos Rethymno.Located just 150 feet from the beach, Crete Residence Villas in Panormo Village offers a private pool and a sun terrace. Opening to a balcony and patio, it enjoys Aegean Sea views. Free Wi-Fi is available throughout. 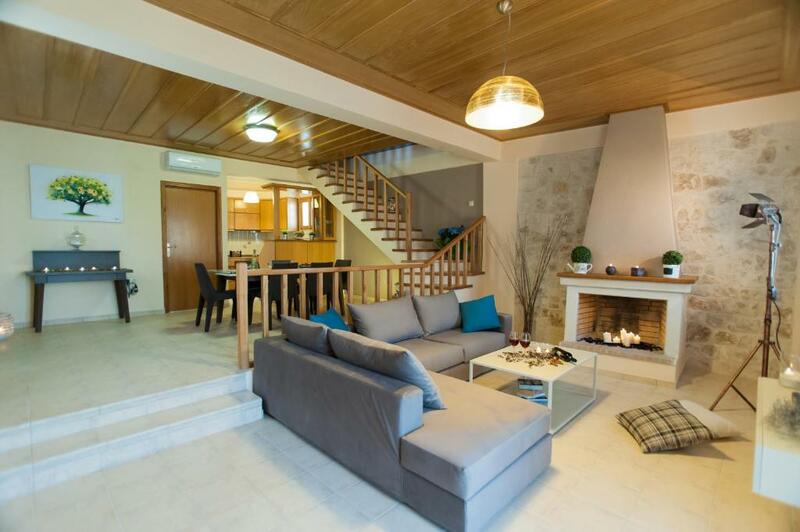 Featuring a classical architecture with earthy tones, these air-conditioned villas include a seating area with a fireplace and a flat-screen TV with satellite channels. 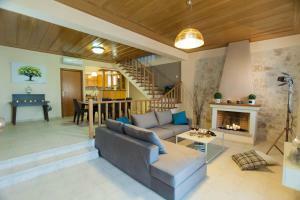 A fully equipped kitchen with a stove, refrigerator and microwave is also included. 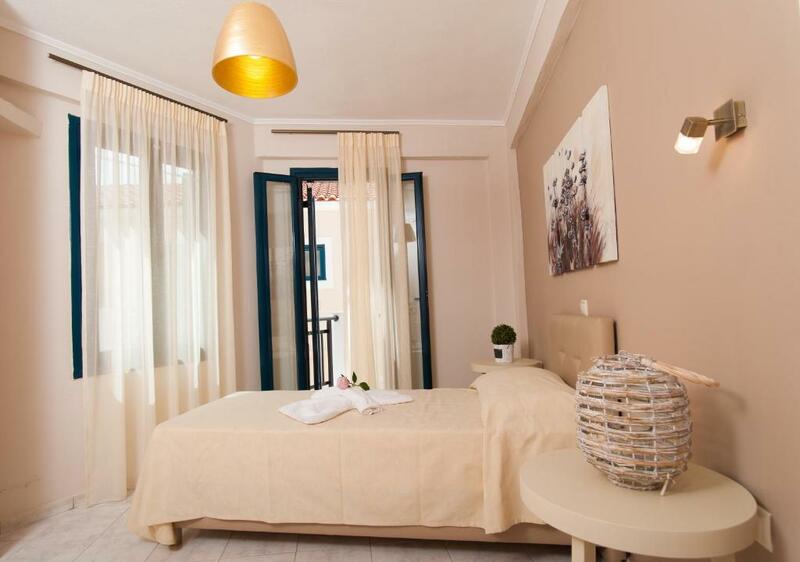 The villas have an additional bathroom and free toiletries. 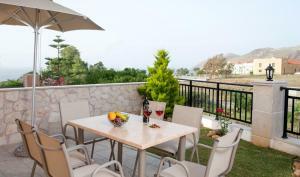 Various bars and restaurants can be found within walking distance of Crete Residence Villas. A mini market lies 350 feet away. The sandy beaches of Limanaki and Limni are located in the village of Panormo. Rethymno Town is at 11 mi, while the International Airport of Herakleion is approximately 43 mi away. Free private parking is possible on site. 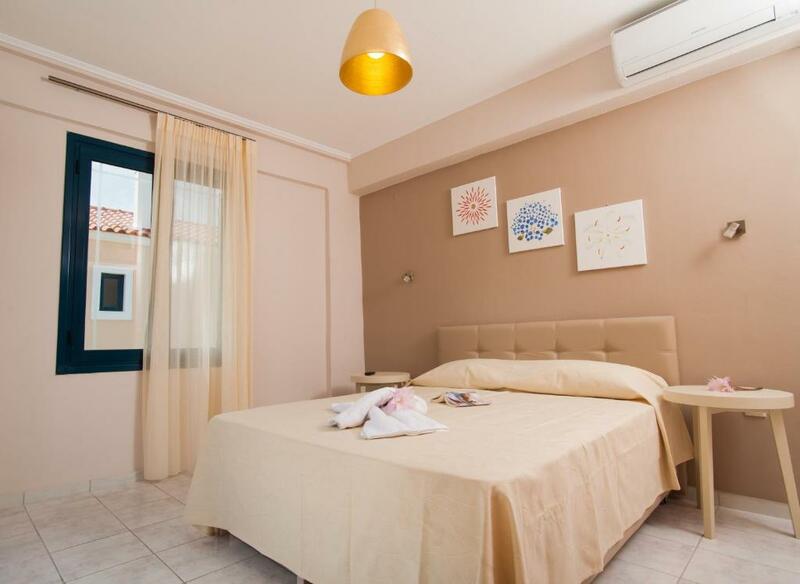 This property is also rated for the best value in Panormos Rethymno! Guests are getting more for their money when compared to other properties in this city. 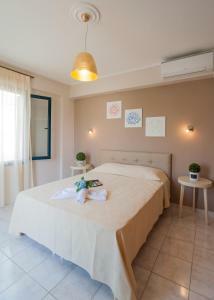 When would you like to stay at Crete Residence Villas? 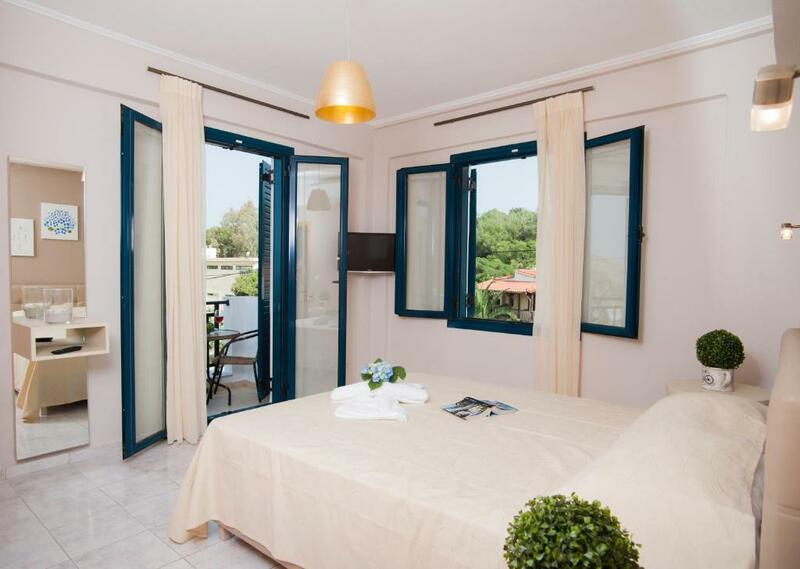 Opening to a balcony and patio with Aegean Sea views, this air-conditioned villa features a seating area with a fireplace and a flat-screen TV with satellite channels. A fully equipped kitchen with a stove, refrigerator and microwave is also included. Free Wi-Fi is available throughout. 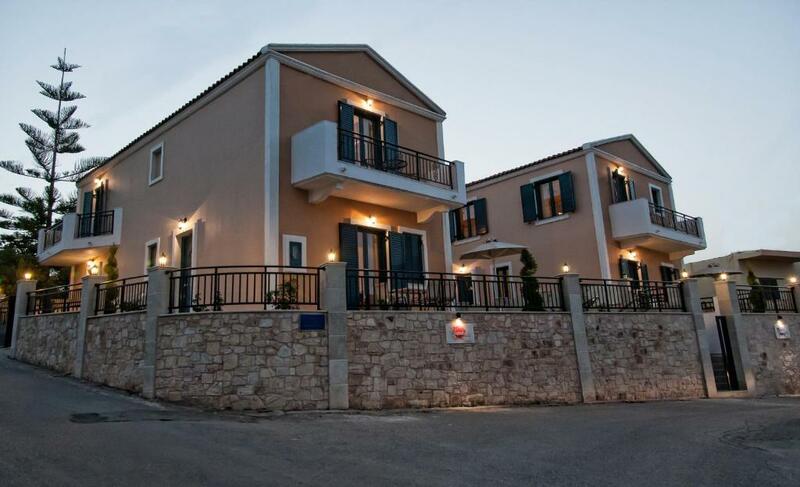 We own a family business, me and my father have a technical office and we have constructed this property, Mrs Tina is the manager in the villas and she lives also there in the village of Panormo, near the villas. Relatively quiet neighborhood, very near the beach. House Rules Crete Residence Villas takes special requests – add in the next step! Crete Residence Villas accepts these cards and reserves the right to temporarily hold an amount prior to arrival. Mattress in Master Bedroom was very hard. Property on a corner leading down to a busy hotel meant that coaches passing quite close at peak times. Bit more room for table outside. The location on the main road was a little noisy at times, the beds were a little firm and we had a limited supply of hot water at times but none of the above caused a problem. The front terrace maybe a bit too narrow to move around the table when eating out, but that still was fine for us 4. For 6 people it might be a bit more difficult. But if you are eating out a lot or not eating at the same time as we did, it is more than fine. Noisy. There are buses passing by the villa. The trash truck comes at 5 or 6 in the morning and makes noise. The neighbouring villa is too close and the neighbours were very loud till late at night. If you are a bad sleeper take ear plug with you, close the windows and then it is quiet. I am a bad sleeper so I did this and then I could sleep. Pillows were a little uncomfortable. There weren't any mops or brooms.